Take on technical snow sections with the the only T-rated piolet in the Black Diamond line. 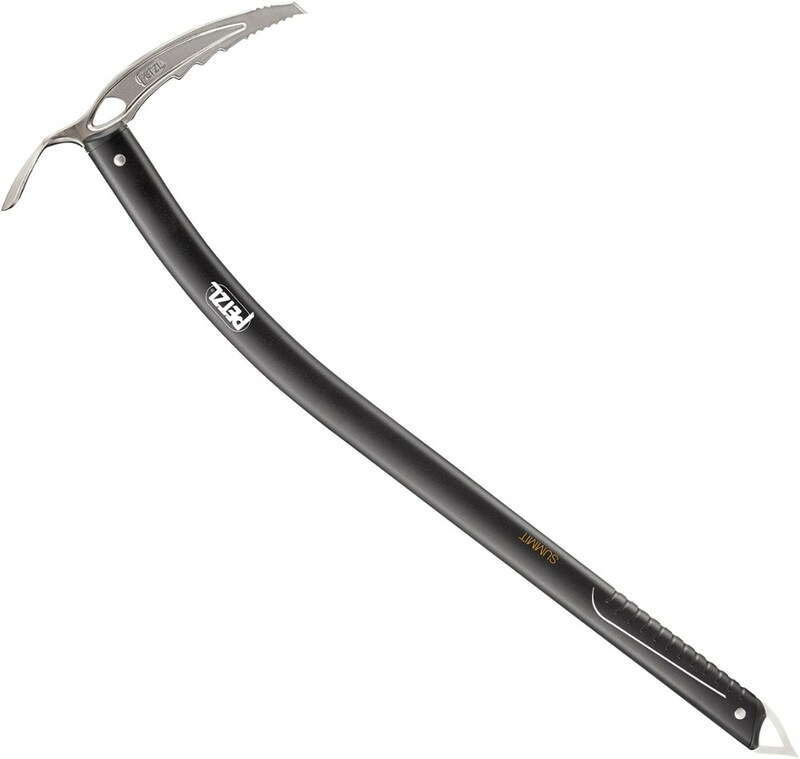 The burly Swift ice axe brings mountaineering piolets into the 21st century. 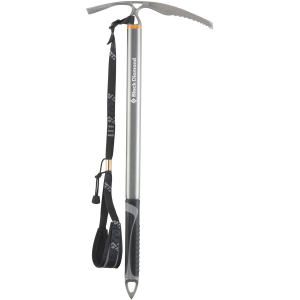 Black Diamond's Swift Ice Axe takes the classic piolet to the next level to help you achieve your mountaineering objectives. 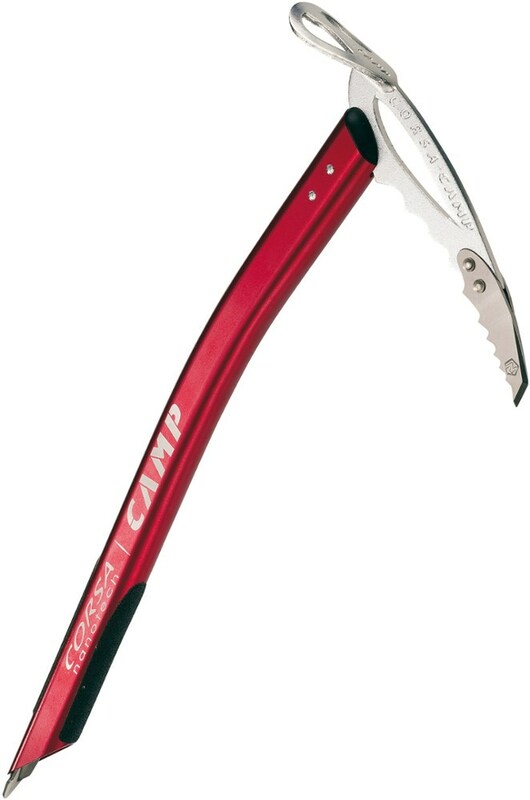 As the only T-rated mountaineering axe in Black Diamond's line, the Swift combines insane strength with remarkable lightness to help you make short work of front pointing up hard snow or traversing technical ridges into ski lines. 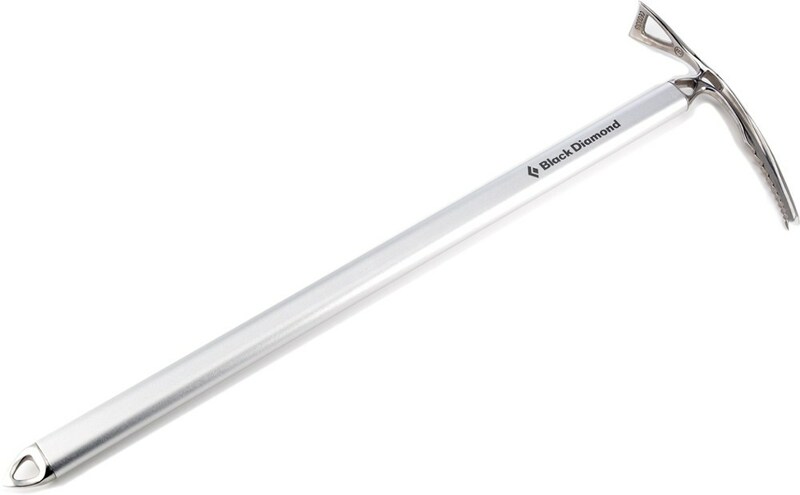 What really sets the Swift apart, though, is its FlickLock adjustable pommel, which slides up and down the shaft to provide more support in committing terrain where your axe might be the only thing between you and a 5,000-foot ride into a bergschrund. With an adjustable pommel and a T rating, the Black Diamond Swift takes mountaineering piolets into the 21st century. One-piece hot forged stainless steel head construction, ergonomic shaft and technical profile for performance in technical snow sections and the FlickLock pommel adds adjustability for varying terrain.